The new Rich Gang comes through with a London on da Track-produced banger: "Pull Up." Birdman is currently prepping his summer takeover, as he has a part in three projects that are supposed to drop in the next couple of months. In fact, his joint tape with Jacquees, Lost at Sea, was supposed to have arrived already, so hopefully he'll still make good on his promise to release his solo album, Ms. Gladys, on June 24 and then the second Rich Gang compilation on July 1. A few days after sharing a new solo track and video, "Stunna," Bird has now pot the spotlight on Rich Gang 2: The Lifestyle with a new five-man collab entitled "Pull Up." Though it was known that Bird has been revamping the post-Thug and Quan Rich Gang lineup, it was somewhat unclear as to whom is currently in the group. 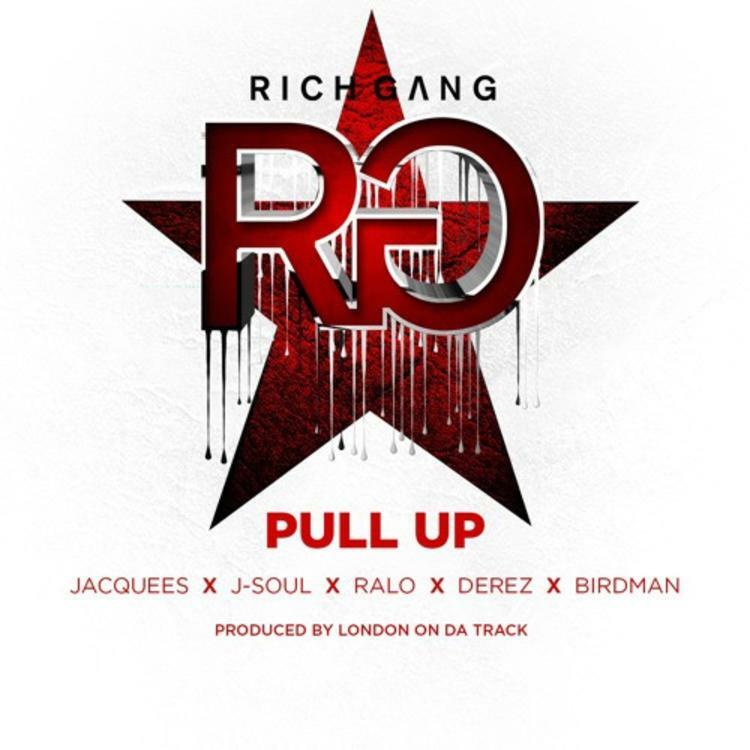 "Pull Up" shows that the current roster is a cross between R&B and street rap, with Jacquees and J-Soul in the former category and Ralo and Derez bringing the fiery bars. As always, Birdman is there to provide one of his always entertaining outros and also to pepper the track with the obligatory "Rich Gang" ad-libs. And don't forget about THE backbone of Rich Gang then and now -- that boy London on da Track. For many, Rich Gang is still synonymous with the Atlanta duo who gave the world one of the best joint mixtapes of all time. "Pull Up," however, is definitely the strongest Rich Gang sighting since Tha Tour Part 1, and it'll be fascinating to see how the new movement develops over the summer.